03.02.2016. Auckland, New Zealand. 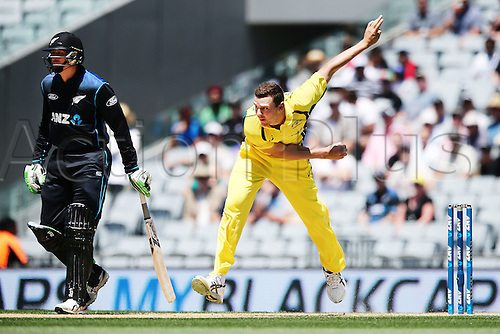 Josh Hazlewood of Australia bowls as Martin Guptill of New Zealand looks on. ANZ International Series, 1st ODI between New Zealand Back Caps and Australia at Eden Park in Auckland, New Zealand.